NEM, (symbol XEM) has been around since April 1st, 2015 and runs independently of any monetary authorities. It is not a mineable decentralized cryptocurrency. This means in order to get XEM, you must go via a cryptocoin exchange. The coin follows the proof of importance (poi) consensus. NEM are on social media sites such as Twitter, so check them out to stay up to date with the latest news. 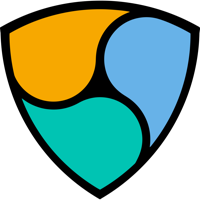 We don't have any debit cards listed for NEM (XEM) yet, check back soon!